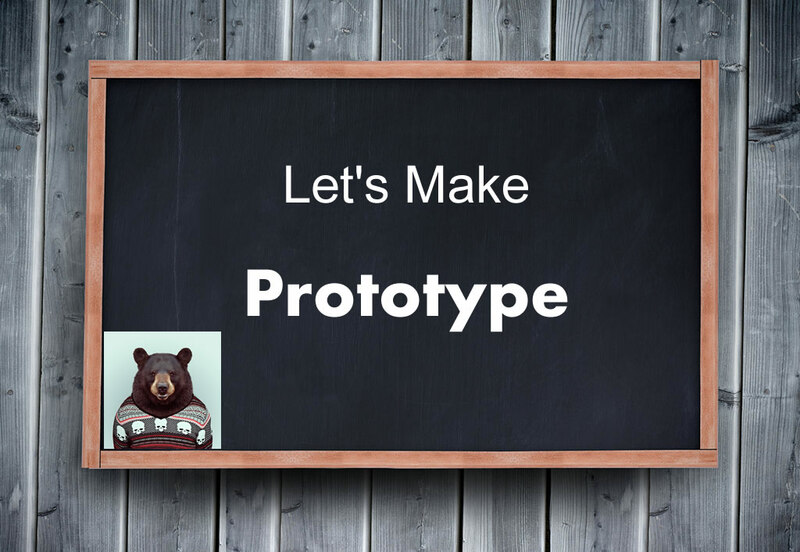 In these years of working as an UX designer, one of the things I have understood is that: Prototyping design is an essential part of upgrading product development. So, it is very important for us to demonstrate our prototype in a right way. I made a comparison for the prototyping tools that we daily use, and the comparison shows that each one of them has its own merits. Well, today, let’s talk about the preview function of Axure, Justinmind, Mockplus and Proto.io 6. 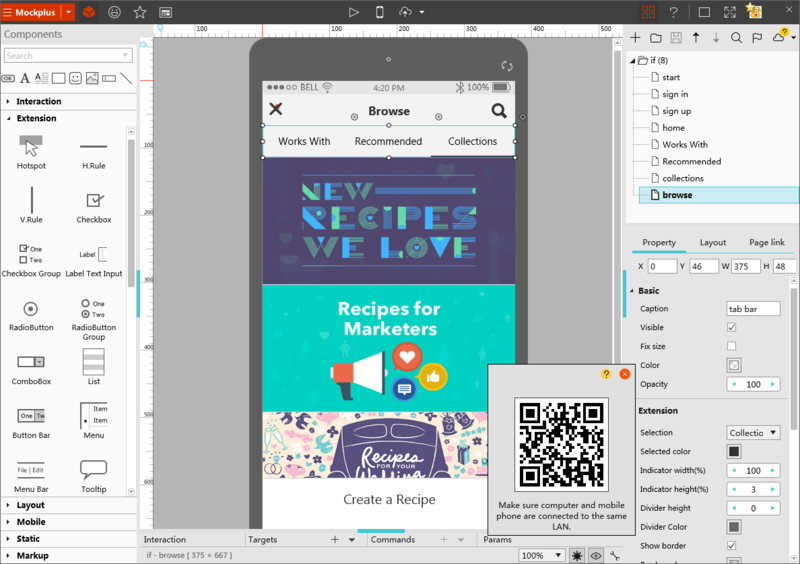 Axure should be the most common tool of prototyping, after years’ accumulation, it has become a really powerful software. Also, the preview function of Axure is absolutely not the weak spot, and we could say that Axure has the most available options of exporting HTML. 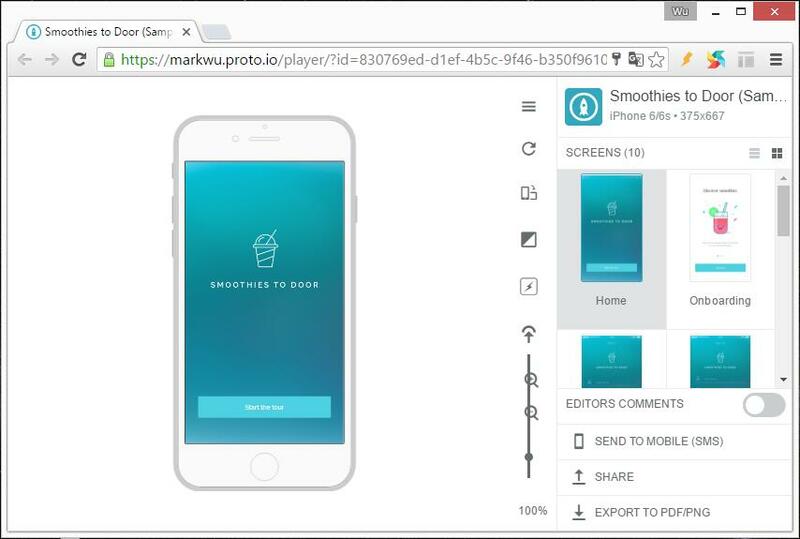 Axure supports two ways of preview on mobile device, one is exporting HTML which is especially made for mobile device (you could open it with Safari on iphone), the other one is to upload project and open it with an app named Axure Share. Justinmind is a prototyping tool which comes from Spain. 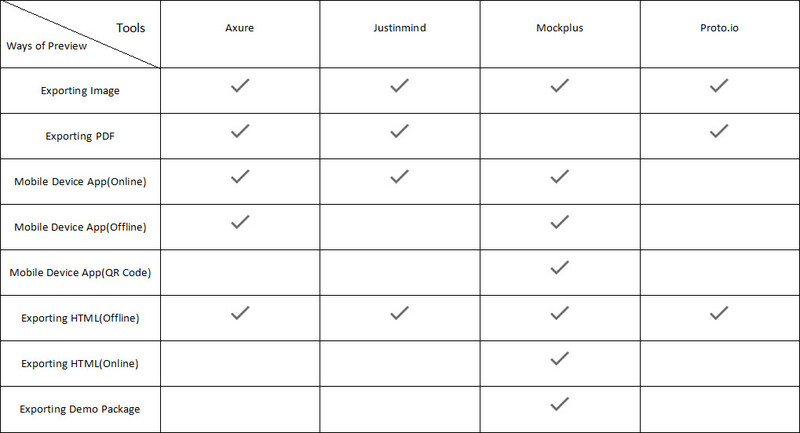 It’s not so common like Axure, but there are a large number of people using Justinmind. The HTML exporting function does not have that many options like Axure. So if you want to preview on mobile device, you could extract the zip file in your cellphone and then open it with browser. Although Justinmind app does not support offline preview, but the online preview function is pretty good if you compare with other apps. There’s only one shortcoming: the running speed is a kind of slow. Of course, it also supports exporting into picture. 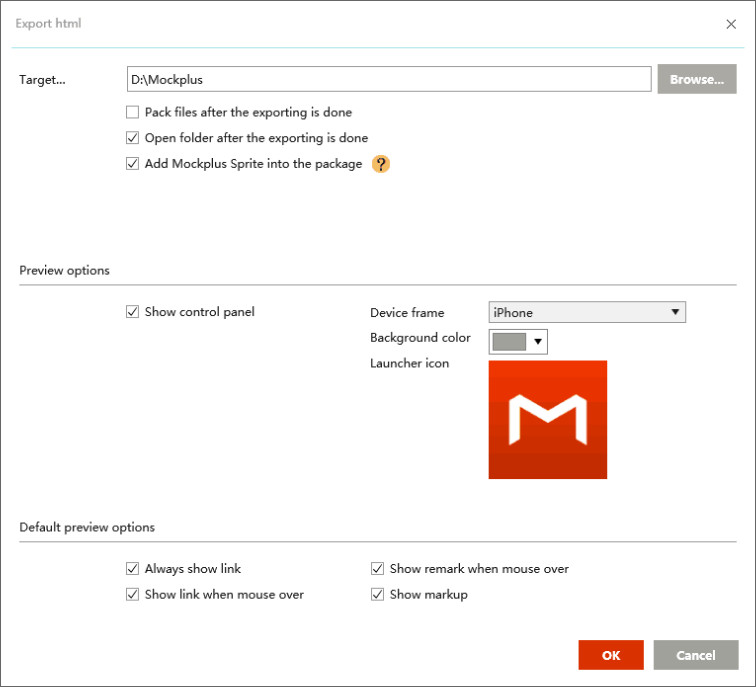 Another thing we should mention is that Justinmind supports exporting DOCX files, and this would make PRD writing much easier. 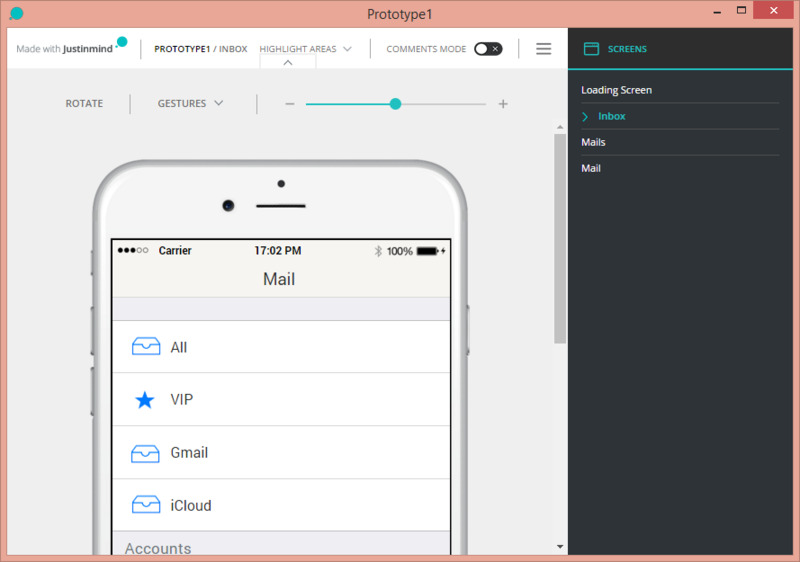 Mockplus has the most comprehensive ways of preview among all the prototyping tools so far I have seen. Don’t even mention the basic function of exporting into picture in two formats. It has two ways for preview on cellphone app: scanning QR code and entering view code after uploading project to cloud. QR code scanning for preview is really rare in this kind of software. You don’t need to connect to the computer, or upload the project to cloud, just open your app and scan the code. It’s very convenient. Exporting into demo package is also a rare but useful function which Mockplus has. Beside those, I also have heard something from a friend who’s inside Mockplus: 2.2 beta version which has the function exporting into HTML is already in the test, and the launch of 2.2 version should come soon. The HTML exporting of Mockplus has two ways: first one is to export offline package. You could send this package to your colleagues directly or put it on the local sever for downloading and preview. 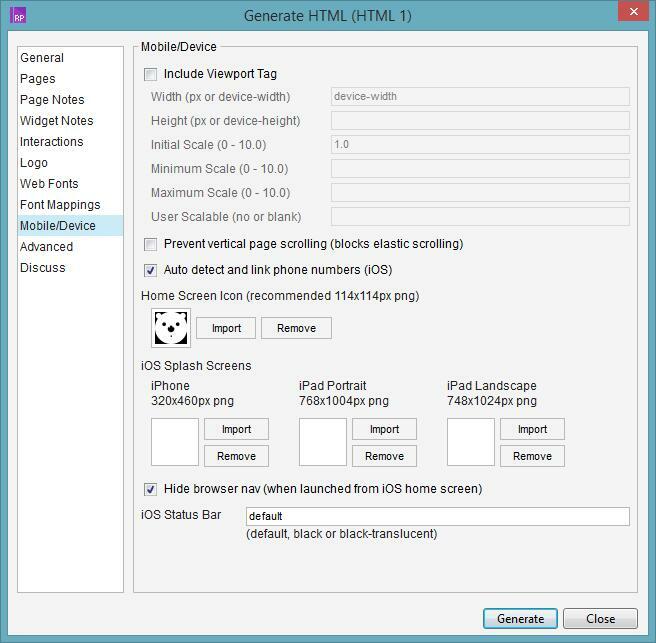 The second way is the way of online HTML preview. After publish the HTML online, you could send a link to people who wants to have a preview on your prototype. Proto.io was upgraded to Proto.io 6 in the middle of July. Compared with the other three desktop prototyping tools, Proto.io 6 only has web version for now. I think it should be the reason of why Proto.io 6 does not have that many ways of preview. Proto.io 6 supports exporting offline HTML, PNG picture and PDF. Those four prototyping tools are at the same level, because they all support exporting pictures. However, Mockplus does not have the function of exporting PDF, so it might be inconvenient for the users who have the need of PDF. The ways of preview of Axure and Justinmind are similar to each other, as they both have mobile app which is totally okay for normal preview. Also they both support exporting HTML offline package. Mockplus has the most comprehensive ways of preview, you could choose one according to your condition. So, in terms of preview, Mockplus is better. Proto.io 6, as a prototyping tool based on web version, does not have so many ways of exporting, it really needs to be improved. But if it’s just for the basic needs, the function of preview should be enough. Pros: You don’t need to install an app on your phone. Cons: It will not run very smoothly like it runs on app. Also, it’s not easy to preview in your phone full screen. There is still one more thing need to concern, it would be the compatibility of the browser. This might lead the problem of distortion, your prototype might look different from designing. Pros: It won’t be a problem for the app to run your prototype smoothly without distortion. Cons: You have to install an app. So, which way is better? My advice would be: Make decision depending on your own condition. Of course, a tool which supports both ways would be a better solution. This article just sums up a few of my thoughts. If you have different ideas, please tell me, we could talk about this in depth.